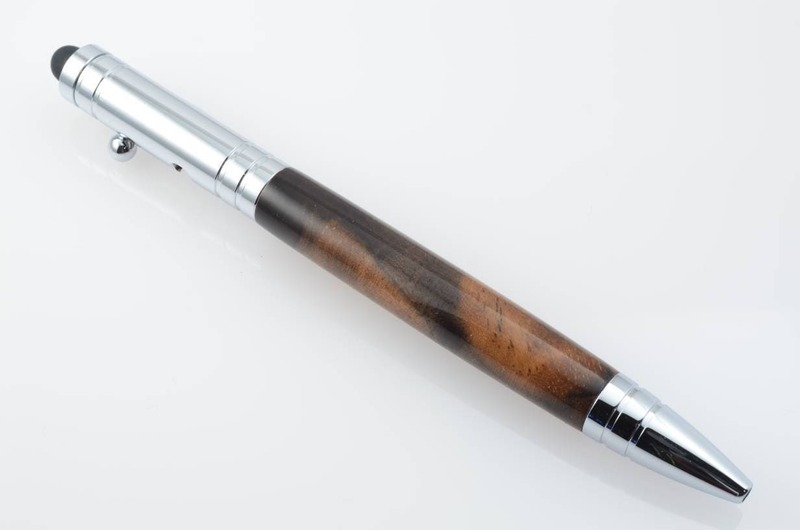 This beautiful ballpoint pen is custom made from gunmetal components and a beautiful claro walnut burl barrel. 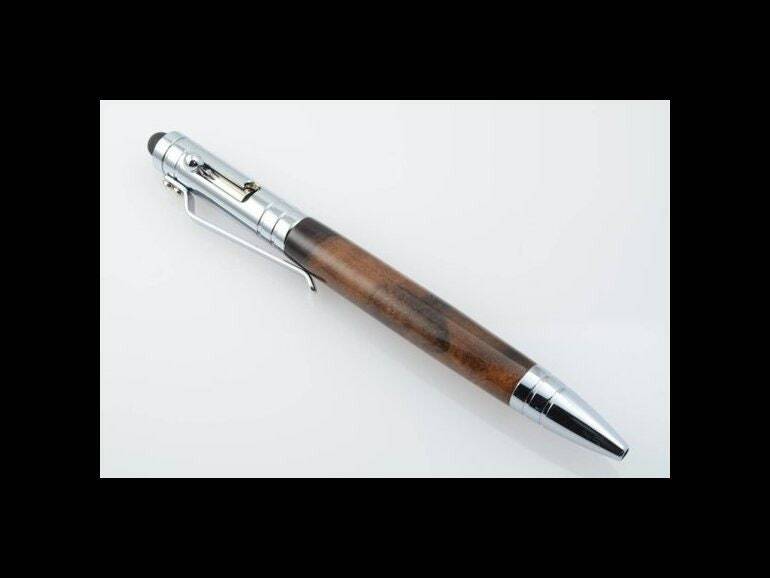 It features a fun and functional bolt action click mechanism, along with a stylus tip, for use with smart phones, tablets, or any other touch screen devices. It has a nice balanced feel, with good weight. Ballpoint pen, ink pen, desk pen, or writing pen, no matter what you call it, I take pride in every one I make. 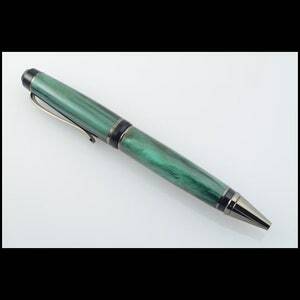 Whether you are looking for a perfect gift for someone special, or a unique gift for that person that’s impossible to buy for, a handmade pen is a great option. 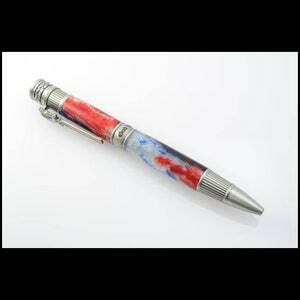 When you use a custom made writing instrument, it conveys a message. 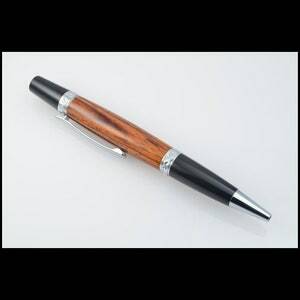 Much like jewelry, watches, or eyeglasses, custom pens allow you express yourself with style and class. 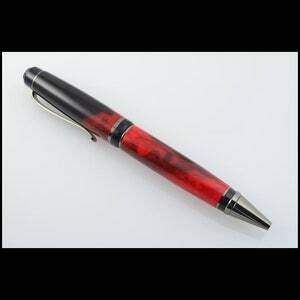 If someone hands you a $.50 pen to use, for whatever the occasion, it is forgettable. 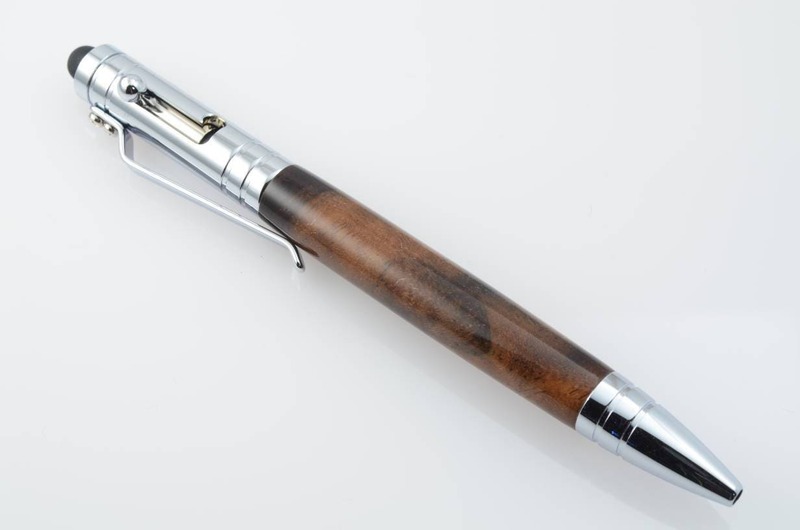 If someone hands you a custom writing instrument like this, it is a memorable occasion. What image, of yourself, do you want to convey?